Samantha Swift and the Fountains of Fate is rated 3.8 out of 5 by 17. Rated 5 out of 5 by KateHello from Fun and relaxing Great game, wonderful storyline, fun adventure, great puzzles within the game to solve. Rated 5 out of 5 by upsysydaisy from Samantha Swift "Takes Out " Another Villain I own all the Samantha games and each one is full of hidden objects and places to go as you track down the bad guy and get an important artifact into safe keeping. 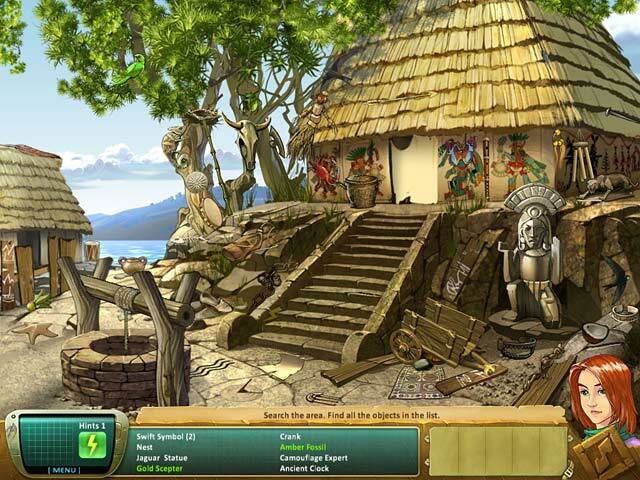 The hidden objects are very well hidden and SMALL, providing great challenge. The technique for finding your list items and getting to your next location is not the usual and I love the extra tasks and fun that it creates. The puzzles are quite good, too. Skip becomes available but the skip button is not easy to get at sometimes (not a glitch). The scenes are in different parts of the world, always search for the lightning bolt and 2 Swift Birds as they provide your hint supply and hints. Click all over the place if need be for hard to find items as they can be hidden in or behind something. No penalty for clicking although some sounds or scanner movement may make you think otherwise, Fountains of Fate is really good and had some surprises I liked. 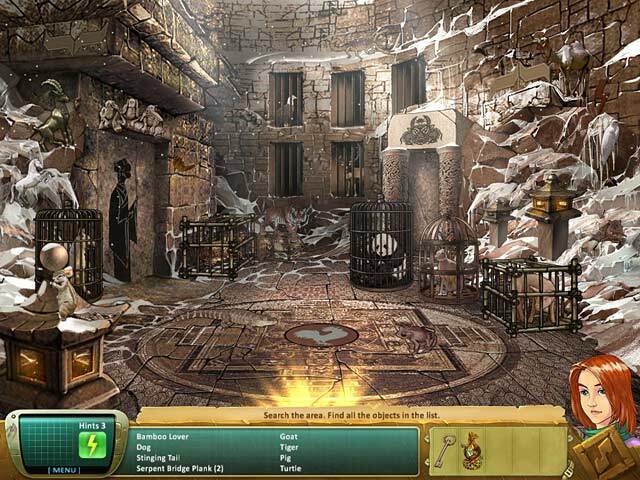 Also just finished Mystery from Atlantis and they are both very busy, challenging, interesting quests and are really nice entertaining games, with no gloom and doom, demons etc to deal with. Sometimes these simpler games with hand drawn graphics are considered unworthy of praises. The big, "fancy" games get all the attention these days and many great games get overlooked. Don't be afraid to try something different...lots of goodies waiting for discovery. I am about to join Samantha on another quest. Rated 5 out of 5 by arnold1049 from CHALLENGING GAME The HOS in this game were very challenging. Many of the items were small and others blended into the background so much that they were almost impossible to find without the help of a hint. I had a little trouble following the storyline, but it wasn't necessary to enjoy the game. And it didn't take too much time away from playing the scenes. Each scene contained 2 swift birds and a lightening bolt to find. Finding all the swift birds wins a trophy while the lightening bolts add to the number of hints. In the darker scenes I found some of the birds impossible to find, and I didn't find them all. There is a counter on the lower right of the scene that keeps track of how many birds have been found in the scene. The graphics were fabulous and provided great atmosphere to the scenes. One scene that depicts a rain storm made me feel like I was actually in it. The hints have a scanner function that shows the silhouette of the item your are trying to find. This sometimes helps and reduces the need to use a hint. If you click on too many wrong items, the scanner goes haywire and must reset itself before you can use it again. As mentioned before, there are trophies to be won, some attainable and some not so much. Using no hints in the entire game, finding all the birds and lightening bolts. not skipping any of the puzzles are examples of some. There is no back and forth in this game. Once a location is finished, you never return to it. At some point during the game, an "extra" is unlocked, called unlimited HO play. This option provided the 8 scenes to be played over again, this time with every single item in the scene appearing in the list to find. Playing all 8 scenes in this way also wins a trophy. Depending on the accuracy and speed in which these scenes are replayed you can earn a bronze, silver or gold coin. Considering how complex and challenging the scenes were the first time around, I settled for bronze everytime, just being happy to finally find all the items. This is the second game in this series that I have played and I have enjoyed both of them. 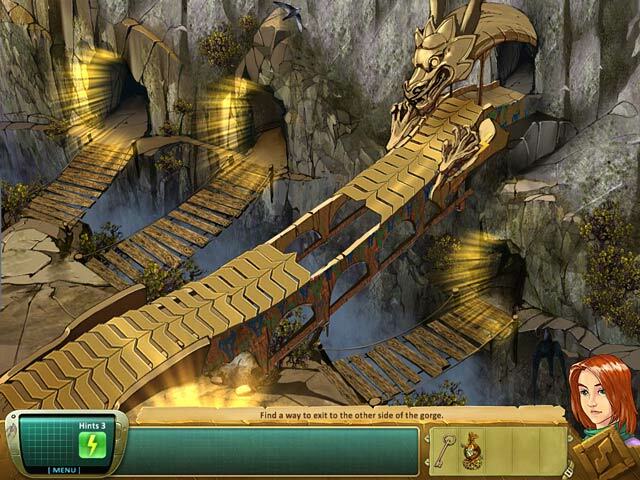 Rated 5 out of 5 by suzenanderson from The Beat Hidden Object Game Ever The best hidden objects game I have ever played. I have been playing for two years. BRILLIANT!!!!!!!! Rated 5 out of 5 by Yahsana from Samatha Swift and the Fountains of Fate I really enjoyed this game. All they need is voice acting. The story line was addictive. I was awake almost all night playing this. I hope that they continue to make more games with Samatha. Rated 5 out of 5 by ptownsen3033 from Swift fun Love the theme of this game. The puzzles were challenging and fun, the screens and animations detailed. Liked this a lot! Even went back to play full object modes to find all hidden items. Rated 4 out of 5 by rosekaufmann from HAND DRAWN AND PAINTED EXTRAS: There are a number of trophies you can earn. Some require perfect play (such as using no hints, never getting a click penalty). Recommend that you view the available trophies before playing and plan your attack. The Unlimited HO mode is unlocked once you find 60 Swifts (you will get a notice). You select the HOS and find the items fast. Your time is recorded so you can try to beat it again. Your find list will differ each time. GAMEPLAY: 6 chapters, each with 5-8 HOS plus several inventory tasks and a couple of mini-games. Collect the 2 swifts and the 1 lightning bolt in each scene (and sometimes in the puzzles). Collecting all of them will earn you 2 trophies. There is no time limit. The lightning bolt will give you an additional hint. Clicking on an item in the object list will show you that item’s silhouette in the scanner (does not count as a hint if you’re trying for the no hint trophy but does count is you’re trying for a trophy for never using the scanner). Click hint to get more detailed instructions for the puzzles and mini-games (this does not count as a hint). BASICS: Only 1 mode of play. No option for widescreen, although at one point it became a widescreen after leaving and returning to the game automatically. Objects have a hand-drawn and hand-painted look. In windowed mode, many of the objects were small, although the scenes were uncrowded, so they could be found. Game took about 5 hours. Rated 4 out of 5 by amilahani from I like it I bought it on a Daily Deal, and its worth it. Graphics are so-so, but its to be expected with old game. The puzzles can be difficult, and I love the mini games. I thoroughly enjoyed this game. Travel the globe with Samantha Swift to find the ancient waters that hold the secret to the Fountain of Youth!